ATP Tour's tweet - ". 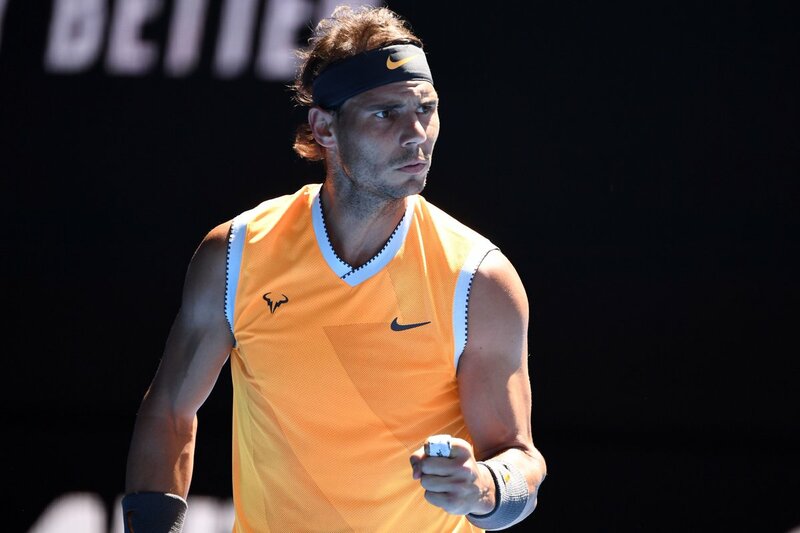 @RafaelNadal gets it done at the @AustralianOpen! He saves a set point & holds off a late surge from Berdych to advance 6-0, 6-1, 7-6. How pumped are you that for that Nadal/Tiafoe QF? #AusOpen "
. @RafaelNadal gets it done at the @AustralianOpen! He saves a set point & holds off a late surge from Berdych to advance 6-0, 6-1, 7-6.